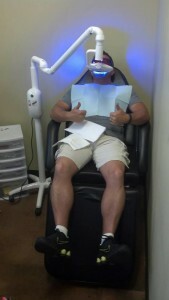 WELCOME TO WHITE GUYS TEETH WHITENING MOLINE, IL! So, you want whiter teeth but dont want to pay your dentist? Get to White Guys Teeth Whitening located inside Touch of Tuscany Salon located Behind Courtesy Car City near South Park Mall, Moline. We use the highest grade supplies available that deliver instant, long lasting results. Did you know a smile is one of the first things people notice? Make yours a good one with White Guys, and remember, if you’re not whitening, you’re yellowing! 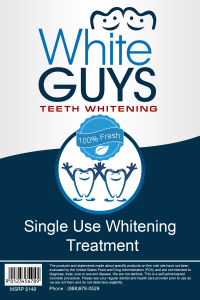 Our Teeth Whitening is simple, affordable, and safe. Results are impressive. “So you want whiter teeth and don’t want to pay through the nose for teeth whitening in the Quad Cities? We are dedicated to your satisfaction, offering teeth whitening in Moline, IL and the Quad Cities at a fraction of the cost you’ll find anywhere else. We have locations inside the top salons & Spas across the country and we’re sure you’ll love it too! So please…explore the website and book an appointment. We offer a class exclusive BUDDY SESSION where you and a friend can go together, get done together, and save money! A Salon & Spa for your teeth!